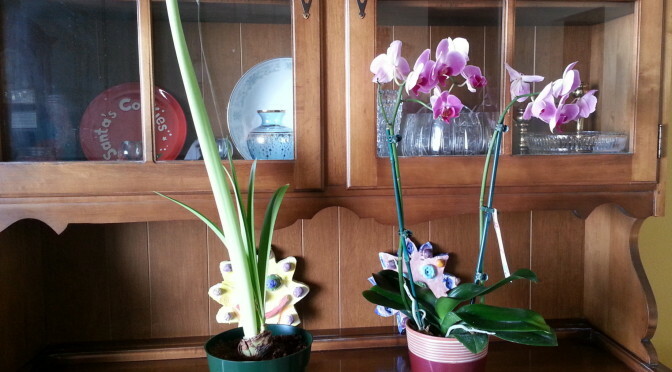 Lately I’ve been thinking about one of my wife’s Christmas gifts; a pot with soil and an amaryllis bulb. It’s a simple gift. One we used to give to our dear friend, Lucile. Since my wife is a fan of flowers too, I figured she would enjoy one. The amaryllis bulb seemed to get off to a slow start. First, poking out of the soil and barely growing. Then it hit a certain point and just took off! I never measured it but I swear there were days it grew at least an inch or more. One thing I noticed is that as it grew it leaned toward our big picture window. It was drawn to the light… so much so that it risked falling over. 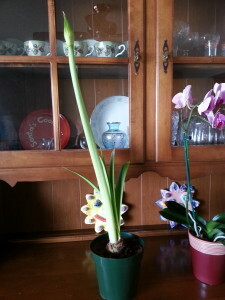 That’s why every morning I’ve been turning the pot so the amaryllis stem was pointed away from the light. Without fail, every night it’s been either upright or leaning into the light again. The whole process of me turning the pot and the plant leaning into the light got me thinking about how as humans we aren’t much different that plants. We’re drawn to the light too! As infants, a night light is comforting. Toddlers find fireflies fascinating. What school aged kid hasn’t had a flashlight as a prized possession or danced with sparklers on a hot July night? As we get older we begin to appreciate and are drawn to the beauty of light. 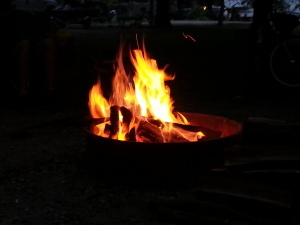 Sunrises and sunsets, campfires, and candle-lit dinners are just a few examples. As Christians we are also drawn to the light, as mentioned in John 8:12. 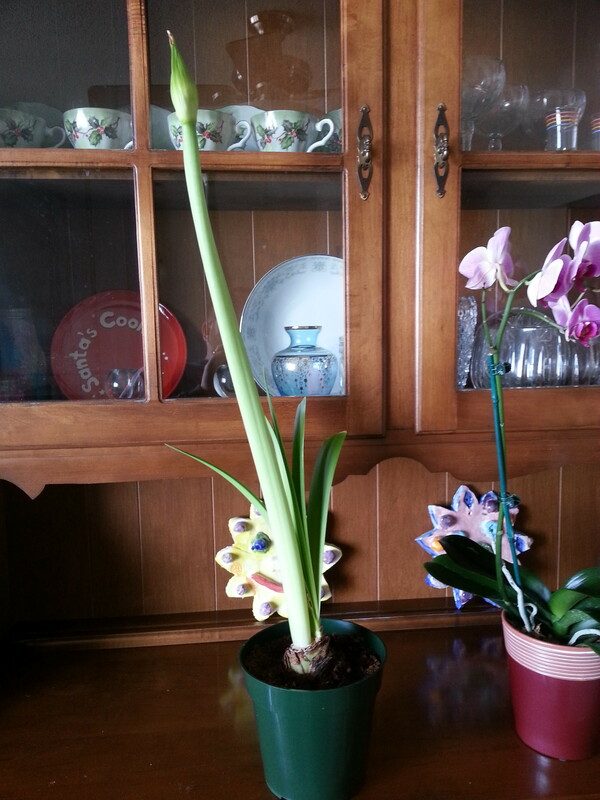 I’ll continue to rotate that amaryllis and learn from it. No matter how how far away the light seems or if it moves I’ll continue to walk towards it… and hopefully in it. What are your favorite memories associated with “light”?